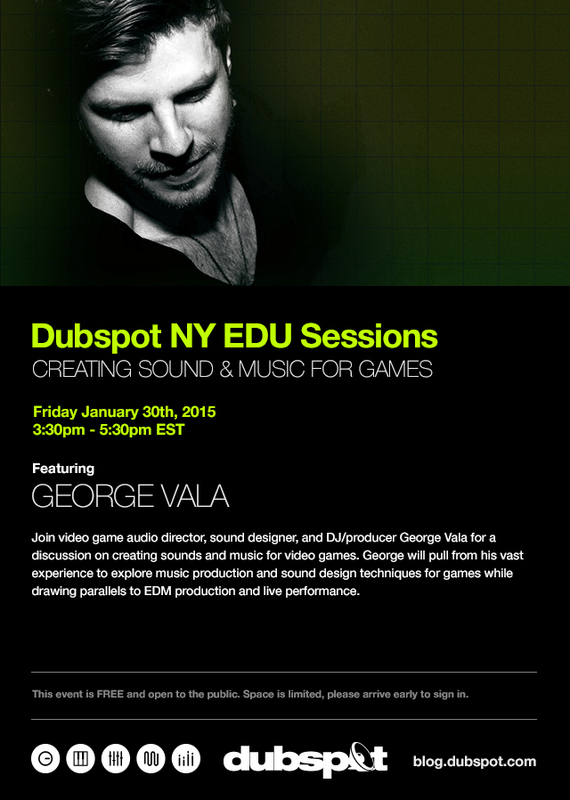 On Friday January 30th, the Dubspot NY EDU Sessions continued with NYC-based techno DJ/producer, sound designer and video game audio director George Vala, who will lead a workshop and discussion on creating sounds and music for video games. Join video game audio director, sound designer, and DJ/producer George Vala for a discussion on creating sounds and music for video games. George will pull from his vast experience to explore music production and sound design techniques for games while drawing parallels to EDM production and live performance.